Members of the carrot family can be difficult to identify when first encountered. Corky-fruited water-dropwort is hairless, the leaves are 2 to 3 times pinnate with the upper ones consisting of narrow linear leaflets. The stem is solid, ridged, un-spotted and up to 1m high and the umbel of white or pink flowers has stout rays and is flat topped when in fruit. Flowering occurs from June to August. 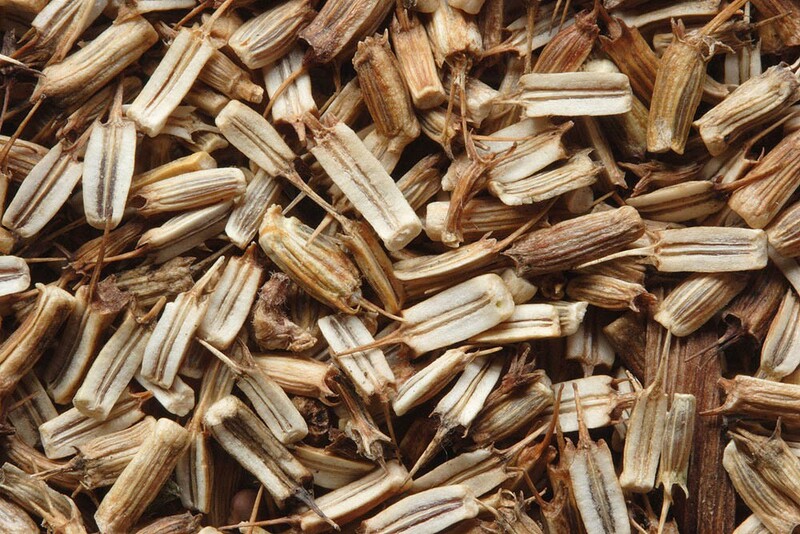 Corky-fruited water-dropwort is a native perennial of hay meadows and pastures, particularly horse-grazed pastures. It is usually found growing on acidic soils and will tolerate both damp and dry conditions. 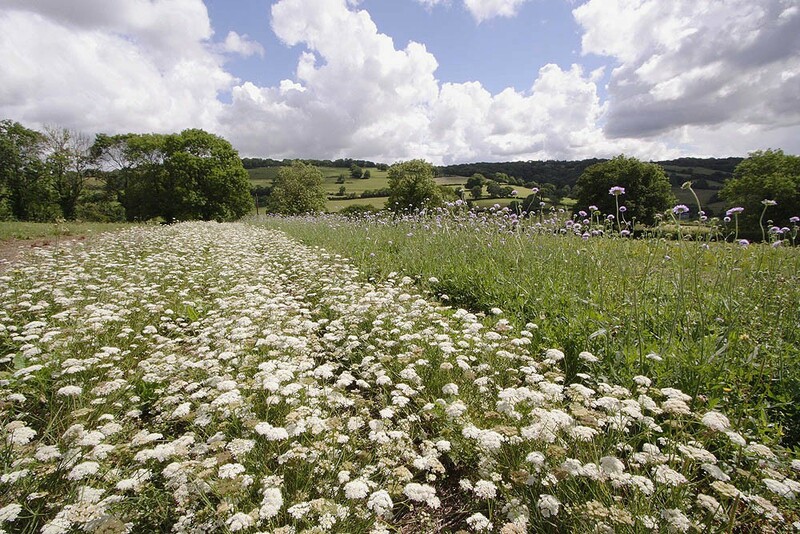 Its natural range is relatively restrictive, being centred around the counties of Somerset, Dorset and Hampshire but where it does occur it can be very abundant. The seed is best sown in the autumn. 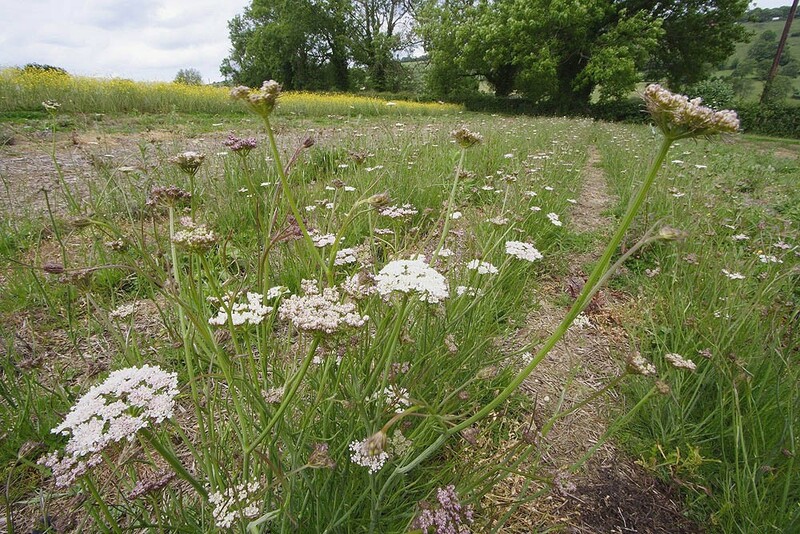 Although commonly found in hay meadows and grazed land it should be pointed out that this species, in common with other members of the water-dropwort genus, is poisonous and so care should be taken when growing it on land grazed by stock.